A Transwestern official tells Globest.com that the bidding for the property was intense with more than 300 confidentiality agreements from both domestic and international investors. The 18-story BB&T office tower is currently 63% leased. 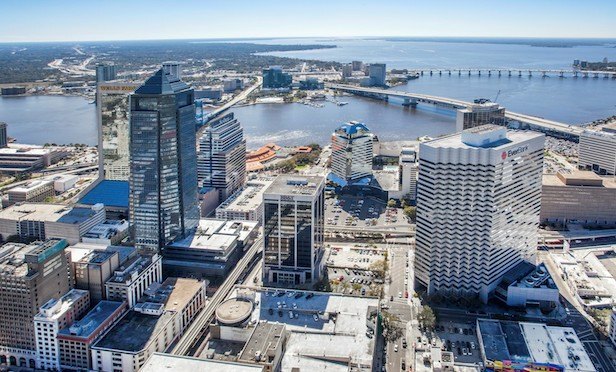 JACKSONVILLE, FL—The iconic, but troubled BB&T Tower here has changed hands via auction in a deal valued at more than $24 million.